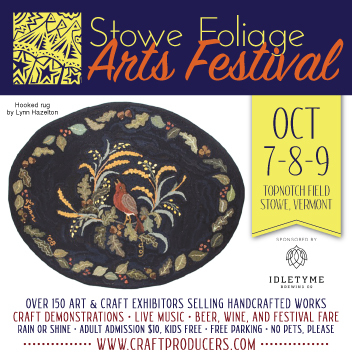 Stowe, Vermont – Craftproducers kicks off American Craft Week in Vermont with the 35th Annual Stowe Foliage Arts Festival. The show will be held October 5-7, 2018, at Topnotch Field on the Mountain Road, Route 108, in Stowe, Vermont 05672. Hours are 10-5 daily, Friday through Sunday. Adult admission is $10, children are free. It’s a rain or shine event; several large heated tents will house all the exhibits. Free parking. No pets. The Stowe show features 175 artists and artisans displaying and selling traditional and contemporary crafts and original art as well as a specialty food section. The exhibitors are a fascinating group of people. “Meet the artists! Hear their stories! And buy their work,” says producer, Tim Cianciola. While craft shopping, customers are delighted with great food, live music, and Vermont craft beers served by Idletyme Brewery, all inside a heated dining tent. Besides savoring Vermont food and drink, there are many craft demos. Craftproducers is proud to feature Zhong-Hua Lu as one of its demonstrating exhibitors at this year’ show. 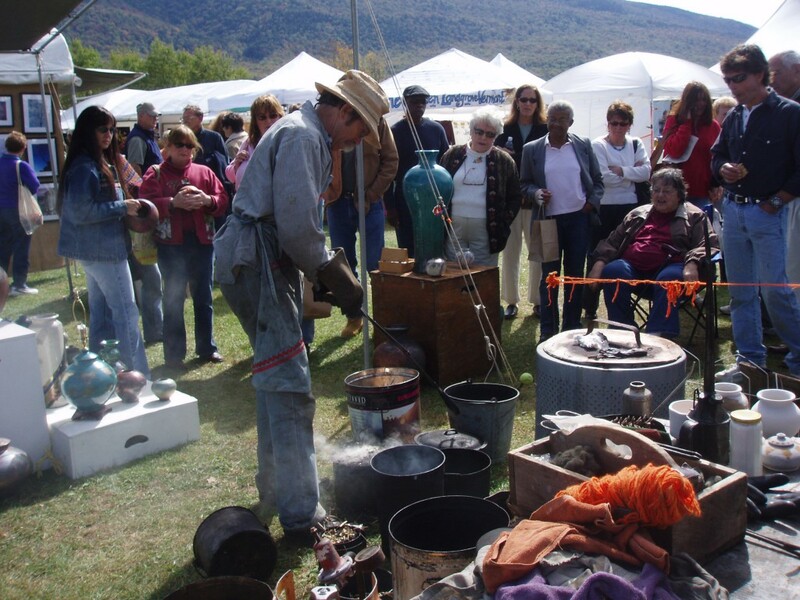 Joining him are Vermonters Richard Foye and his compelling Raku pottery demo. Piper Strong, another Vermonter, will showcase her welding techniques creating a new take on classical masterpieces. When the cooler days of autumn approach, that’s when the craft festival season heats up. Craftproducers kicks off the Fall season in Vermont with the 30th Annual Manchester Fall Art and Craft Festival. The show will be held September 28 through 30, 2018, at Riley Rink on Route 7A (410 Hunter Park Rd. ), a mile and a half north of downtown Manchester, Vermont. It will take place inside the confines of Riley Rink and expands outdoors with array of exhibitors, the food court and. a dining tent, lending a festive mood. The Manchester show features 150 artists and artisans displaying and selling traditional and contemporary crafts and original art as well as a specialty food section. While craft shopping, customers are delighted with great food, music, and Vermont craft beers. Hours are 10-5 daily, Friday through Sunday. Adult admission is $10, but $7 on Friday. Children are free. Rain or shine-inside building and outdoors. Saturday is Health Awareness Day with MVP and its RV and staff sharing tips for a healthy lifestyle. Free parking. No pets, please. Besides savoring Vermont food and drink, there are many craft demos. Craftproducers is proud to feature Matt Brown, currently residing in Lyme, NH and New Haven, VT, as one of its demonstrating exhibitors. 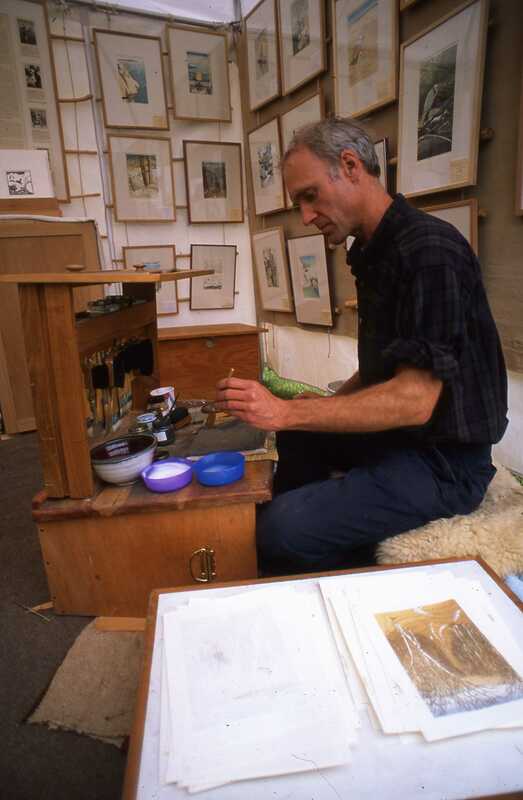 Matt explains, “I have been working the craft of color woodblock printmaking since January 1993. Self-taught in my printmaking, my pursuit in the first few years was mostly in isolation. 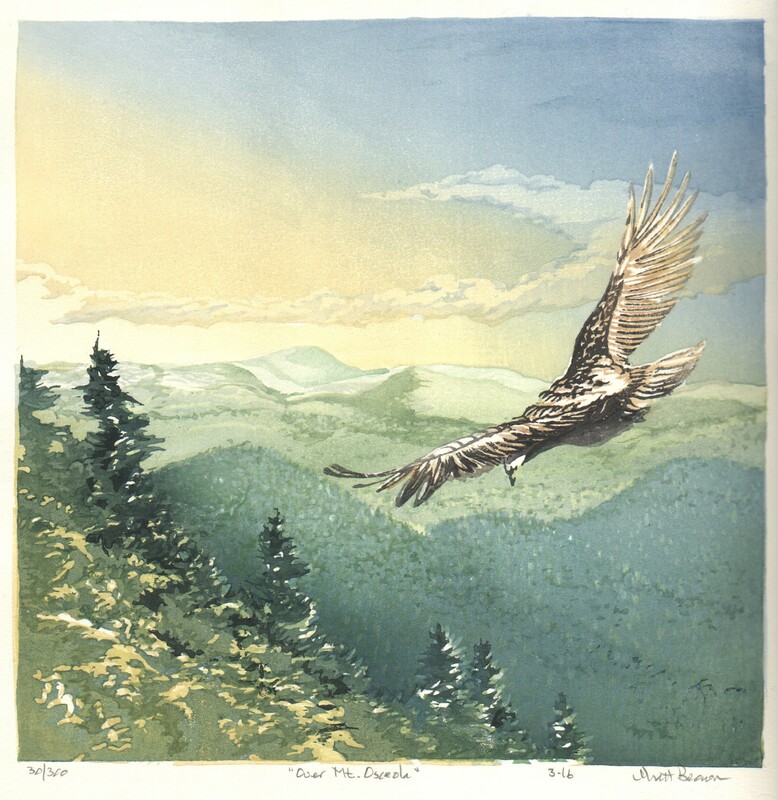 Spending time with Japanese prints in my home, visiting Japanese prints at the homes of friends and neighbors, at museums, and through books, was largely how I learned in the early formative years.” Brown uses the hangar method – a woodblock printing technique using water as a medium. Festival goers can witness Brown at work in his booth, creating original pieces. When ​autumn​ ​approaches,​ ​that’s​ ​when​ ​the​ ​craft​ ​festival​ ​season​ ​begins​ ​in​ ​earnest.​ ​Craftproducers​ ​​ ​concludes​ ​American​ ​Craft​ ​Week​ ​in​ ​Vermont​ ​with​ ​the​ ​39th​ ​​​ ​Annual​ Stowe Foliage Arts ​Festival​. ​The show ​ ​will​ ​be​ ​held​ October 6-8 ​at Topnotch Field on the Mountain Road, Route 108, in Stowe, Vermont. Several large heated tents will house all the exhibits. ​While​ ​craft​ ​shopping,​ ​customers​ ​are​ ​delighted with great food, live music, and Vermont craft beers served by Idletyme Brewery, all inside a heated dining tent. Besides​ ​savoring​ ​Vermont​ ​food​ ​and​ ​drink,​ ​there​ ​are​ ​many​ ​craft​ ​demonstrations.​ ​​Craftproducers​ ​​is​ ​proud​ ​to feature Zhong-hua​ ​Lu​ ​as​ a ​demonstrating​ ​exhibitor ​at​ ​this​ ​year’s​ ​show.​ ​His​ ​life​ ​story,​ ​artistic work, and​ ​teaching​ ​career​ ​are​ ​all​ ​remarkable,​ ​and are​ ​well​ ​documented​ ​in​ ​a​ ​detailed​ ​memoir​ ​written​ ​by​ ​his wife, ​ ​Ellen​ ​Graf. Joining him are Vermonters Richard Foye, with a compelling Raku pottery demo, and Harry Besett – a glassblower – with a glass blowing demo, taking incandescent white hot glass from his kiln. In a nutshell,​ ​the Stowe Foliage Arts​ ​Festival​ ​will​ ​be​ ​held​ ​ ​October​ ​6 through 8​ ​at Topnotch Field. ​Hours​ ​are​ ​10-5​ ​daily,​ ​Friday​ ​through​ ​Sunday.​ ​Adult​ ​admission​ ​is​ ​$10,​ ​children​ ​are​ ​free.​ ​Rain or​ ​shine – most Exhibitors are located inside​ heated Camelot tents.​ Free​ ​parking.​ ​No​ ​pets,​ ​please.​ ​Complete​ ​information​ ​is​ ​available​ on the Stowe Foliage Arts Festival event page. As autumn​ ​approaches,​ the​ ​craft​ ​festival​ ​season​ ​begins​ ​in​ ​earnest.​ ​Craftproducers​ ​kicks off​ ​American​ ​Craft​ ​Week​ ​in​ ​Vermont​ ​with​ ​the​ ​29th​ Annual​ ​Manchester​ ​Fall​ ​Art​ ​and​ ​Craft​ ​Festival​. ​The show ​will​ ​be​ ​held​ ​September​ ​29​ ​through​ ​October​ 1 ​at​ ​Riley​ ​Rink​ ​on​ ​Route​ ​7A,​ ​a​ ​mile​ ​and​ ​a​ ​half​ ​north of​ ​downtown​ ​Manchester,​ ​Vermont.​ ​This year the​ ​show​ ​will​ ​take​ ​place​ ​inside​ ​the​ ​cozy​ ​confines​ ​of​ ​Riley​ ​Rink itself. The ​Manchester​ ​show​ ​features​ 150​ artists​ ​and​ ​artisans​ ​displaying​ ​and​ ​selling​ ​traditional​ ​and​ ​contemporary crafts and​ ​original​ ​art as​ well​ ​as​ ​a​ ​specialty​ ​food​ ​section.​ ​While​ ​craft​ ​shopping,​ ​you will be delighted with great food, live music, and Vermont craft beers. Besides​ ​savoring​ ​Vermont​ ​food​ ​and​ ​drink,​ ​there​ ​are​ ​many​ ​craft​ ​demonstrations.​ ​​Craftproducers​ ​​is​ ​proud​ ​to feature Zhong-hua​ ​Lu​ ​as​ ​one​ ​of​ ​the ​demonstrating​ ​exhibitors​ ​at​ ​this​ ​year’s​ ​show.​ ​Zhong-hua​ ​Lu​’s ​life​ ​story,​ ​artistic work, and​ ​teaching​ ​career​ ​are​ ​all​ ​remarkable​ ​and​ ​well​ ​documented​ ​in​ ​a​ ​detailed​ ​memoir​ ​written​ ​by​ ​his wife, Ellen​ ​Graf.​ Mary Ann Filkins, a master Basket Maker, will demonstrate basket weaving. Please come on out and meet the artists and hear their stories. Buy their work! Support handcrafted products! Without you there would not be a craft show! See you there. 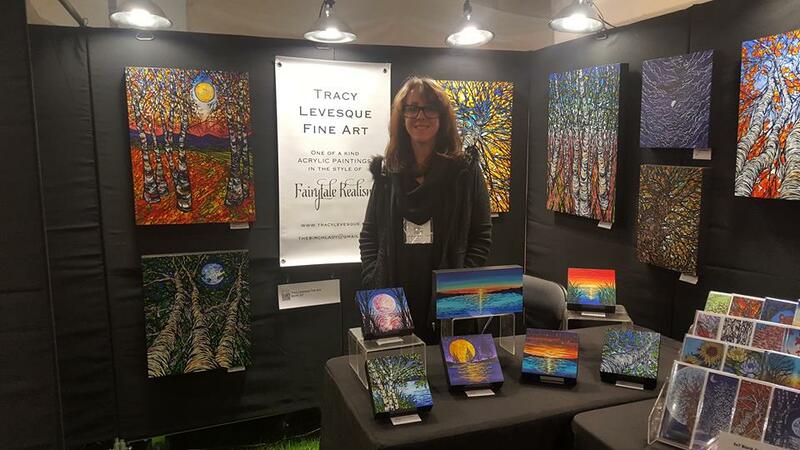 Tracy Levesque in her booth at one of Craftproducers 2016 Festivals. Lévesque will return to Craftproducers Stowe Foliage Arts Festival in October, 2017. Come to the Festival at Topnotch Field on Mountain Road in Stowe to meet this incredible Artist and see her paintings in person. Besides original paintings, she will also have prints and gifts featuring her work available for sale. Jeffrey Gale, from Strafford, Vermont, demonstrated his traditional wood splint basket making techniques at our 2016 Manchester Fall Art and Craft Festival. His dedication to the craft has earned his work a place in the Smithsonian American Art Museum’s permanent collection. When autumn approaches, that’s when the craft festival season begins in earnest. 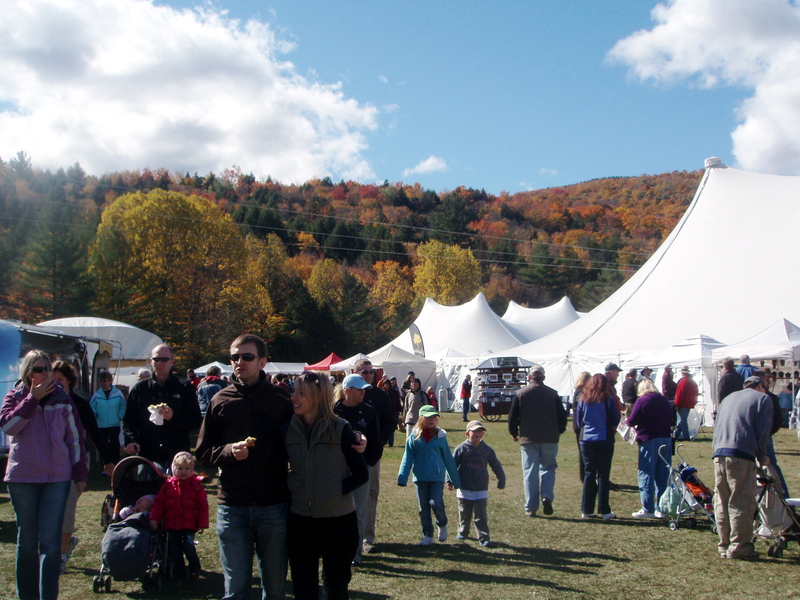 The 34th Annual Stowe Foliage Arts Festival is the absolute apex of American Craft Week in Vermont. The Festival will be held October 7 through 9 at the Topnotch Field about four miles north of the Routes 100 and 108 intersection in the Village of Stowe. The Stowe show features 150 artists and artisans displaying and selling traditional and contemporary crafts and original art as well as a specialty food tent. Exhibitors are housed in large Camelot tents, tents transformed into veritable cathedrals of creativity. Works include pottery, leather, blown and stained glass, clothing, graphics, original art, photography, and specialty food products including wines and spirits. 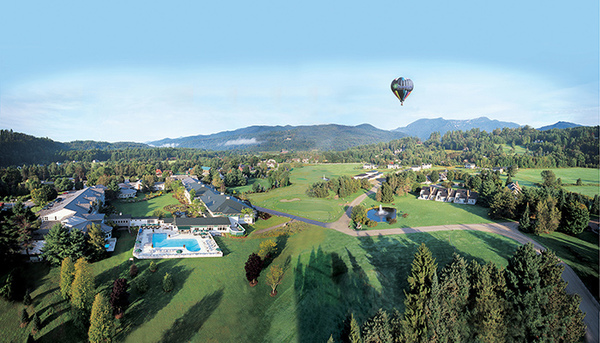 Stoweflake Mountain Resort and Spa, in the heart of Stowe, Vermont — where over 30 shops and restaurants await — and with easy proximity to the Stowe ski area and the historic village, invites families and friends to relax and reconnect while enjoying all the year-round resort and Stowe have to offer. 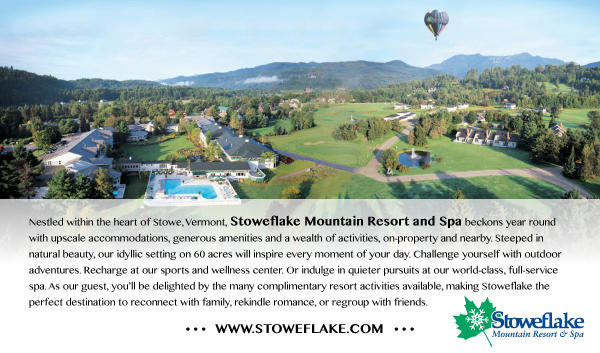 Stoweflake’s world-class spa offers wellness programs, therapeutic treatments, and salon services. Delicious dining awaits at Charlie B’s Pub & Restaurant, where the menu is inspired by the fresh flavors of Vermont. While craft shopping, customers are delighted with culinary choices served by local restaurants and food trucks. The Culinary Court will feature local vendors serving a wide range of delicious treats, many prepared with Vermont products. This year Idletyme Brewing Company from Stowe, VT will showcase its craft beers. Live music will be played here too with The Spencer Lewis Trio featuring Chuck Eller on Friday, Two Cents In the Till on Saturday, and the Storm Cats on Sunday. Besides savoring Vermont food and drink, there are many craft demos, a Vermont Cheese and Sausage Tent, and a wacky comic juggler, Brent McCoy, whose show is called the Real McCoy, He will dazzle his audience with his physical prowess and bring a few smiles and chuckles to those watching. The craft demos will feature Harry Besset, a glass blower from Hardwick, VT and Richard Foye, a Raku potter from Newfane, VT. Their intriguing demos showcase not only their immense talent but also their subtle wit. 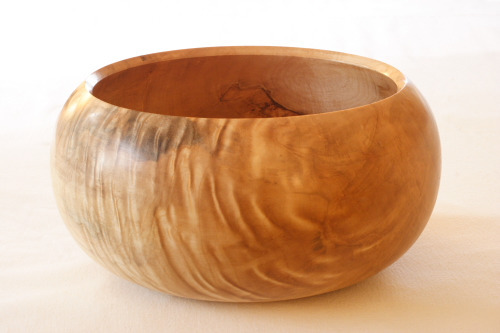 Quality wood bowls make wonderful gifts and great additions to any kitchen. 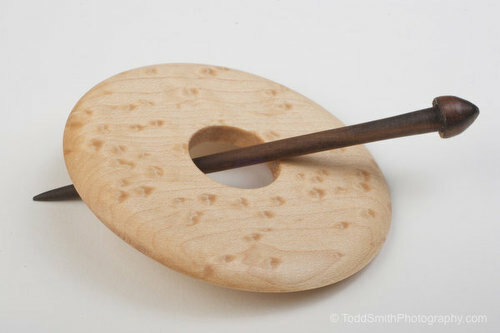 Edwards Smith Fine Woodworking creates beautiful wood bowls, utensils, furniture pieces, jewelry boxes and more. Smith began working with wood at a young age and over time working with wood called him more and more. Crafting artisan wood bowls is Smith’s specialty, he produces each item with American hardwood usually gathered from felled trees locally. When autumn approaches, that’s when the craft festival season begins in earnest. The 28th Annual Manchester Fall Art and Craft Festival kicks off American Craft Week in Vermont. The Festival will be held September 30, October 1 & 2 at the Practice Tee on Route 7A, a mile and a half north of the roundabout in downtown Manchester, Vermont. The Manchester show features 150 artists and artisans displaying and selling traditional and contemporary crafts and original art, as well as a specialty food tent. While craft shopping, customers are delighted with culinary choices served by local restaurants and food trucks. The Dining Tent, which is heated, offers tables and chairs with a relaxed ambience. Vermont craft beers are served to accompany the luncheon plates. There will be live entertainment each day. Besides savoring Vermont food and drink, there are many craft demos. They are informative as well as entertaining. Jeffrey Gale, of Strafford, VT, will showcase his traditional basketmaking skills all three days. His baskets are made of white ash trees. He pounds the wood until it is the desired thickness and then weaves each new piece until ultimately there is a basket. He is widely collected by private individuals and Museums including the Smithsonian. 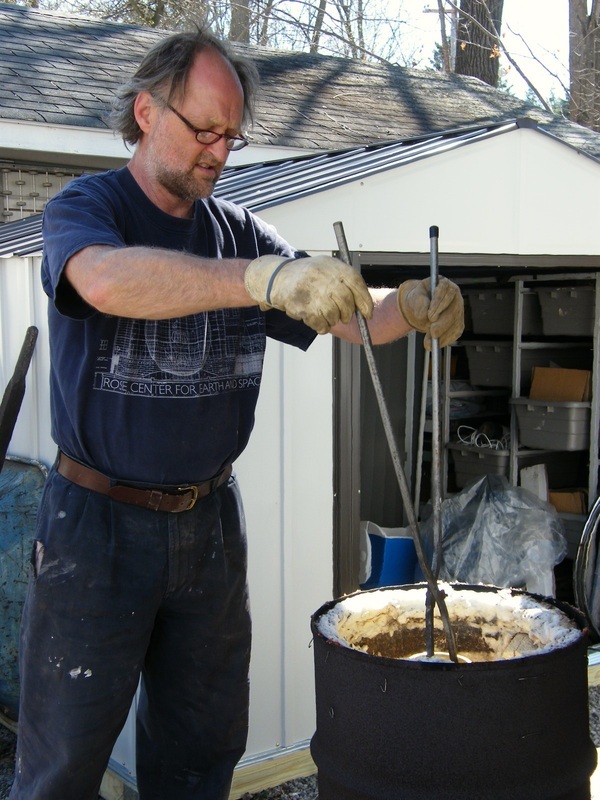 Add Jonathan Woodward, a potter from Clinton, NY to the mix, with his Raku pottery demo and there are all the necessary ingredients for a lively afternoon. This year the American Museum of Fly Fishing in Manchester will be there offering demos of fly tying to participants through any level of fly tying-from basic to advanced. Additionally, casting instruction will be presented, ranging from beginner lessons to a specific course that teaches the nuances of casting with classic bamboo and fiberglass rods. Why there’s even something for the kids: an interactive class tying clown flies. As part of the American Craft Week celebration in Vermont, the Vermont Craft Council is planning its Fall Open Studio Weekend on October 1 and 2. Maps will be available at the Festival so craft show patrons may also visit those studios local to Manchester. For more details about the Open Studio Weekend, visit VermontCrafts.com. Interestingly enough American Craft Week has been expanded; it’s now October 1 – 16. The Vermont Crafts Council is following suit and has added a second weekend of “Open House” October 8 & 9 to its Fall Studio Tour. Once again, the Manchester Fall Art and Craft Festival will be held September 30, October 1 & 2 at the Practice Tee in Manchester. Hours are 10-5 daily, Friday through Sunday. Adult admission is $10, children are free. Rain or shine-under tents. Plenty of free parking. No pets, please. 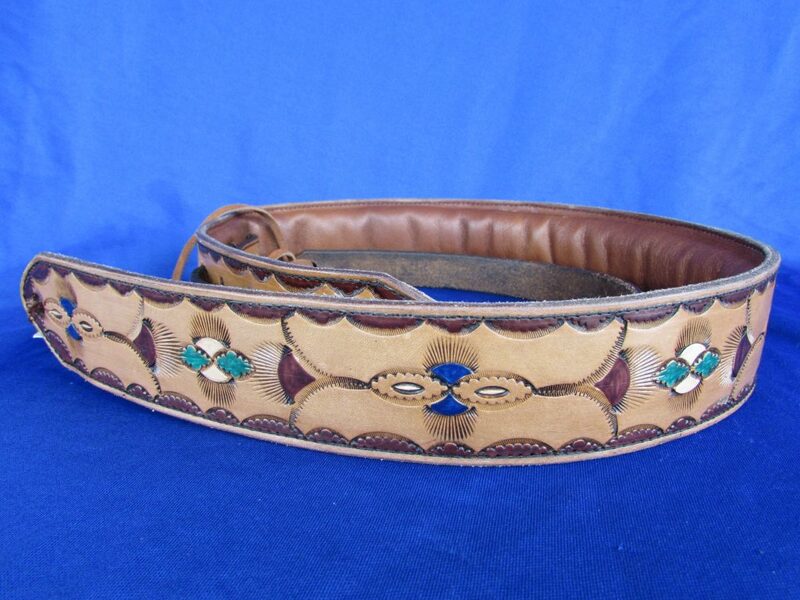 A self-taught leather artist since 1977, Jan Stewart-Hibbard hand tools a wide range of leather accessories. Included in Jan’s collections are photo albums, journals, notepads, book covers, wallets, belts and guitar straps. Each item is individually crafted making no two just the same. Preview the collections from Log Cabin Leather by Jan on her website and remember to visit Jan’s booth at the 28th Annual Manchester Fall Art and Craft Festival.